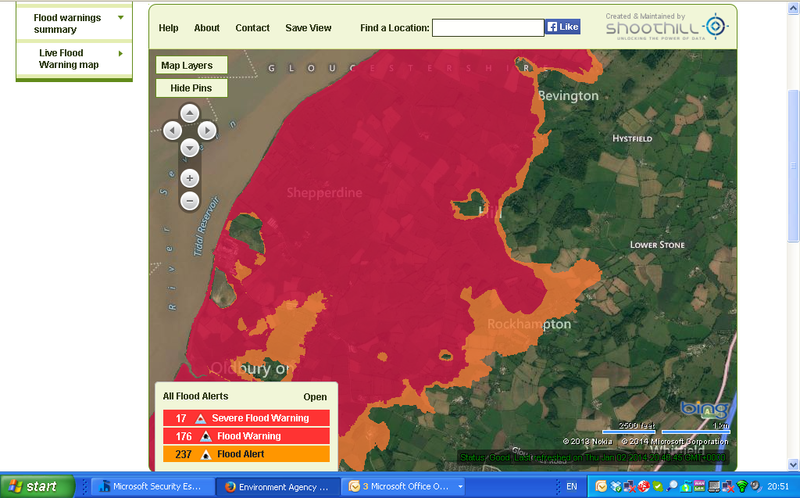 Since we signed up for flood alerts from the Environment Agency, we get updated when trouble is brewing. Today their communications have been getting increasinly panicky and their map showing the area of flooding has us firmly in the red. Sandbags have been deployed at the doors, and we have discovered just how much stuff lives on the floor of the house. We are advised to move children, pets and valuables to higher ground. Children have been issued lifejackets and the sheep have been built a new improved shelter. Unfortunately they live at sea level so will be relying on the traditional ridge and furrow landscape to keep their toes dry. Tomorrow at 8.30 we may discover whether they can swim.